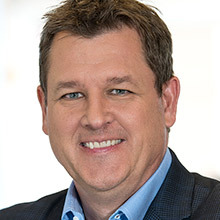 Joe D. Jensen is vice president in the Internet of Things (IoT) Group and general manager of the Retail Solutions Division at Intel Corporation. He leads the team responsible for helping third-party brands and retailers use Intel’s technology to better serve consumers. Before assuming his current role, Jensen managed Intel’s low-power embedded processor division, where he led the development of purpose-built system-on-chip (SoC) devices for the embedded market segment. From 2003 to 2005, he managed Intel’s Digital Home Division, leading the team that developed a SoC product for digital set-top boxes. Jensen earned his bachelor’s degree in electrical engineering from South Dakota State University and his MBA degree from Arizona State University. He holds a patent in the area of digital audio and has an additional patent pending in the field of sensing for digital signage.